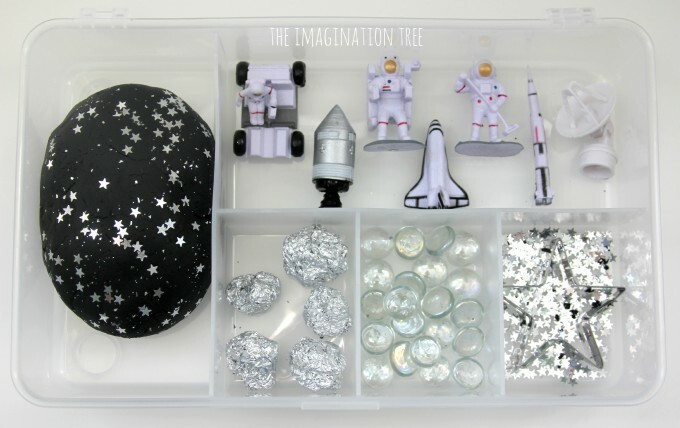 Make galaxy play dough for exciting space themed imaginative play and small world play set ups. 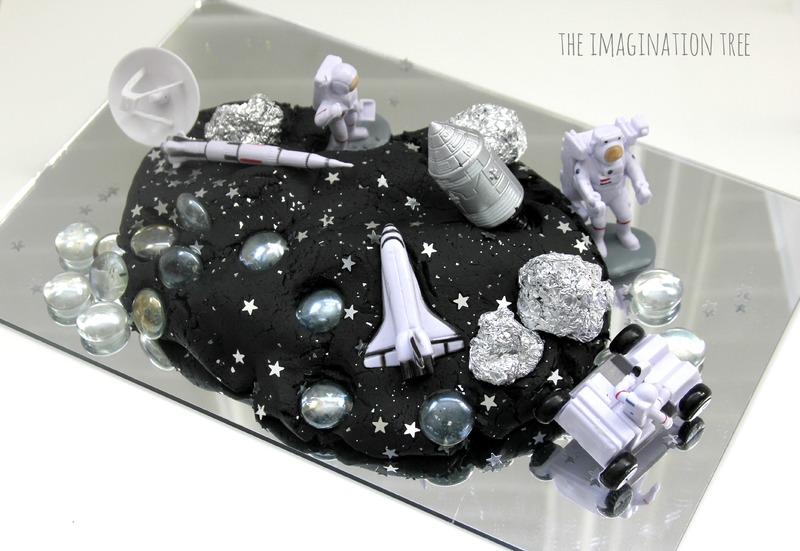 Space themed play dough fun for preschoolers to enjoy! 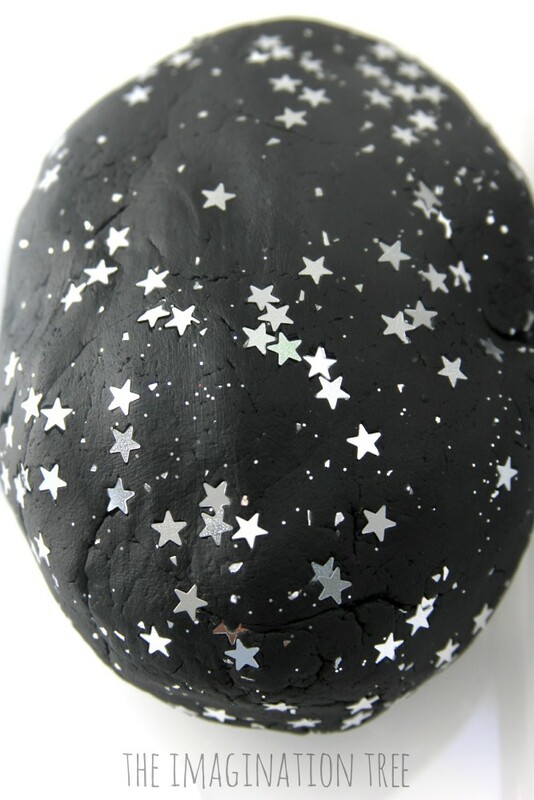 The first time we made inky black, galaxy play dough it was considered quite a very unique thing and I received lots of comments on social media and the blog about how we made it so black and sparkly! 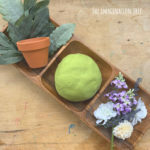 I am so thrilled that making homemade play dough has become such a popular thing over the past few years, and now the number of recipes and play ideas to go with them is amazing. It really is one of my biggest passions. My 5 year old is currently engrossed in her space project at school this term, and so we have been doing lots of space themed play together at home. 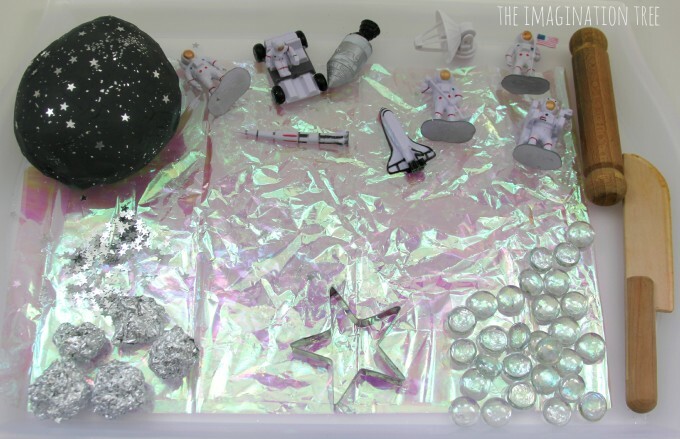 So it seemed natural that first up we needed to make this galaxy play dough again, this time with lots of sparkly loose parts and little space play figures added into the mix! 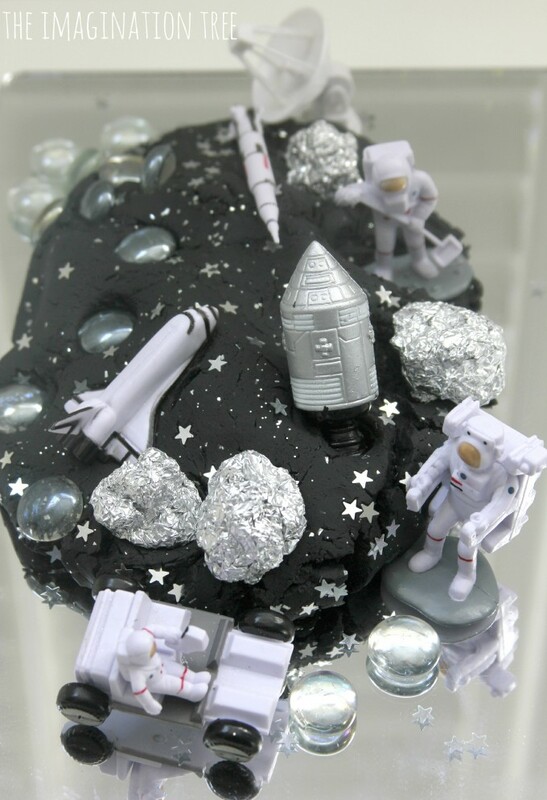 one set of Space Themed Toy Figures (includes astronauts and all rockets, satellites etc.) These are AWESOME! 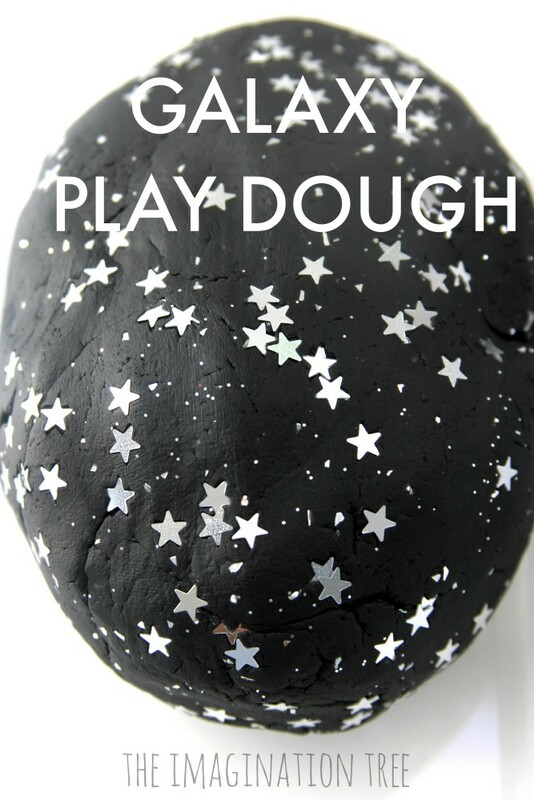 To make the galaxy play dough I simply added black gel food colouring to the boiling water while using our very easy, no-cook, 4 minute play dough recipe (click link to read full instructions.) 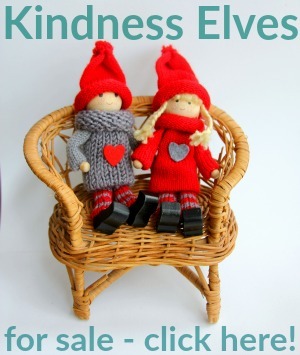 You can also use ordinary black paint or powder paint too. When the colour was completely combined, we rolled the dough in silver glitter and it was ready to go! 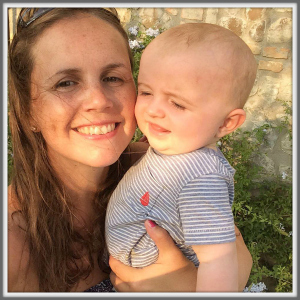 We have played with a number of times and I’ve set it up differently for them to find. The first time they used it on a tray that had been lined with sparkly cellophane, which is a great way of keeping all the bits contained and relatively mess-free. The next time I thought it would be fun to extend the play by using a mirror as the base, as there are so many reflective surfaces in the added loose materials. They were really engaged with the play on the mirror surface and made lots of stories about moon landings and explorations. They want to make some aliens to add to the scene next! 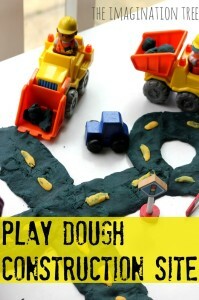 See our complete A-Z of Play Dough Recipes and Activites here! 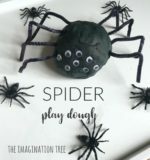 Follow Anna @ The Imagination Tree’s board Play Dough and Salt Dough Recipes and Ideas on Pinterest.